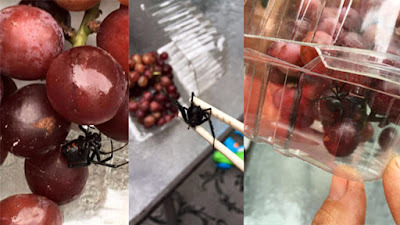 I've been seeing a news story on Facebook and other places about the terror of a New Hampshire family when they found a black widow spider inside a box of organic grapes. The spider caused a big stir in the local and even the national media. 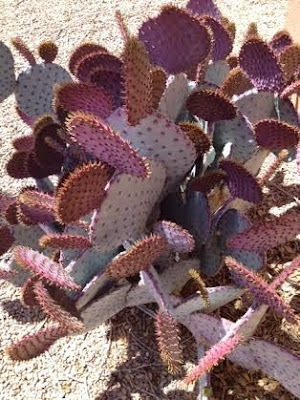 That got me to thinking about how brave we must be to live in New Mexico, where even the plants can grab you and the spiders are not the only creepy-crawlies we must face on a daily basis. but it wants to hurt you. Trust me. For example, I know a lady who knits. She is mild-mannered and kindly, and you would never suspect her of heart-stopping bravery, yet every night when she gets up to go to the bathroom she carries a black light so that she can avoid stepping on the little nocturnal scorpions that scamper across her tile floors. 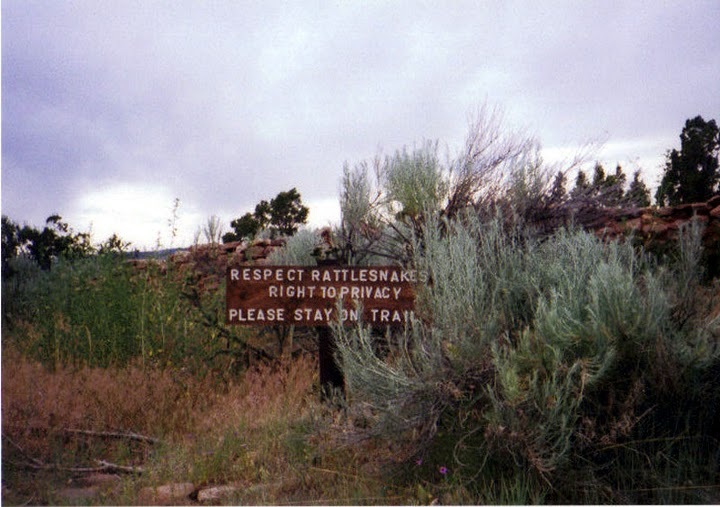 When we go for walks in the nearby desert, we carry walking sticks to let the rattlesnakes know we are coming. We like to coexist in safety. 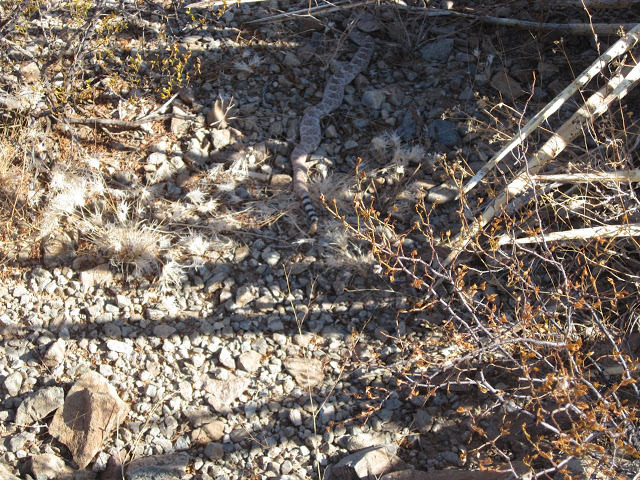 Occasionally, we come across a snake who wants as little to do with us as we want to do with him/her. Now, I am a gentle retired librarian and nobody called the press when I met this fellow. We just both went on our way. Now that I think of it, we live risky lives of constant danger that would send many Eastern folks scurrying right back to the airport. Lots of black widow spiders live on our front porch and in our garage. Those pesky sticky webs of theirs are everywhere. Fox News doesn't seem to care a bit. We just watch where we stick our hands. And those bitty old black widows are nothing, compared to our tarantulas. I helped one safely cross the road in front of our house one day. It didn't even make the evening news. 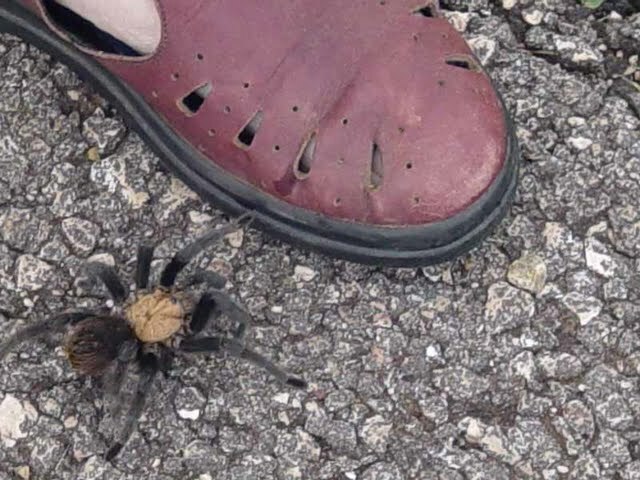 This tarantula was interfering with traffic on a road near Tucumcari, NM. That's my sister's shoe he is patting. He chased me across the highway when I took his picture.